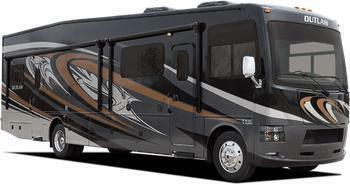 Thor Motor Coach (TMC) is recalling 138 model year 2018-2019 Outlaw motorhomes, model 29J. The 12V wiring for the coach may have been improperly wired to the battery instead of wired through a circuit breaker. In the event of an electrical short circuit, the unprotected circuit can increase the risk of a fire. TMC will notify owners, and dealers will correct the circuit's wiring, free of charge. The recall is expected to begin October 29, 2018. Owners may contact TMC customer service at 1-877-855-2867. TMC's number for this recall is RC000160.